Helena M. Kasuba (Kenney), age 86, of Milton passed away January 11th at the Mt. Auburn Hospital. Born in Quincy, she was raised in Milton and attended Jeanne D’Arc Academy and Regis College. 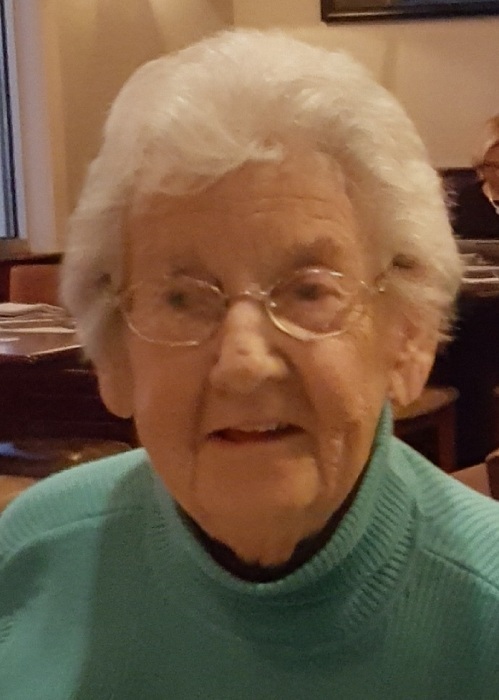 Helena was a beloved wife and mother, an active parishioner at St. Elizabeth’s Church in Milton and was a former active member of the Dorchester's Physicians wives club and an active alumna of both Jean D'arc and Regis College. Beloved wife of the late Francis E., M.D. Mother of Paul F. Kasuba and his wife Meg of Milton, Carol A. Foley and her husband Tom of Canton, Nancy L. O’Donnell and her husband Bob of Whitman, and Lisa M. Hatch and her husband Carter of Tampa, FL. Grandmother of Matt, Jeff, and Lilly Kasuba, Meaghan, Michael, and Shannon Foley, David and Kristen O’Donnell and C.J., Ethan, and Alyssa Hatch. Beloved aunt of Susanne Willey of Westfield and Carollee Grant of Largo, FL. She is also survived by several other nieces and nephews. Visiting hours at the Alfred D. Thomas Funeral Home 326 Granite Ave Milton Friday, January 18th, from 5-8 pm. Funeral Mass at St. Elizabeth’s Church, Milton Saturday morning, January 19th, at 11:30. Burial St. Joseph’s Cemetery, W. Roxbury. Donations may be made in her memory to the Muscular Dystrophy Assn. @ www.mda.org.